ANCHORAGE, Alaska—(ENEWSPF)–June 22, 2016. 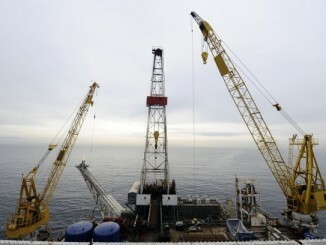 The Center for Biological Diversity today urged federal officials to block an oil company’s plans to drill multiple new wells and conduct the first large, multistage offshore fracking ever done in Alaska’s environmentally sensitive Cook Inlet. 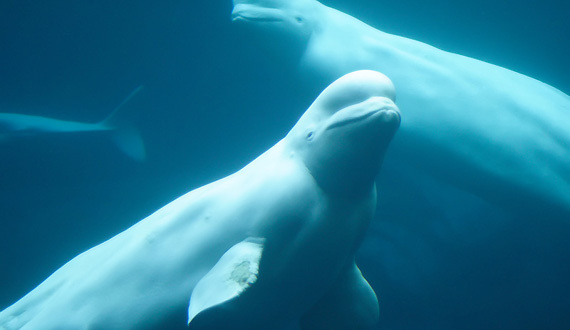 In a letter to the National Marine Fisheries Service, the Center noted that the unprecedented offshore fracking planned for this summer threatens Cook Inlet beluga whales — among the most endangered whales in the world­. BlueCrest Energy’s plan for what it calls a “huge multistage frack” would be the first project of its kind in the inlet, according to state oil regulators and the company itself. “Fracking in Cook Inlet threatens beluga whales and their prey due to the toxic chemicals used in fracking fluid,” read the Center’s letter. The company needs a permit from the agency to legally conduct oil and gas activities in the Inlet. Offshore fracking blasts vast volumes of water mixed with toxic chemicals beneath the seafloor at pressures high enough to fracture rocks and release oil and gas. The practice increases environmental damages beyond those of conventional oil drilling by increasing pollution and the risks of oil spills and earthquakes. Cook Inlet belugas are especially vulnerable to these threats through direct exposure and through the killing or harming of their prey. New technologies, including horizontal drilling, have led to the widespread use of fracking in the lower 48 states. Fracking proliferation has come with a host of problems, including groundwater contamination, air pollution that makes people sick, earthquakes and spills of toxic chemicals that killed fish and other wildlife. So far there have been only a few small, fracture stimulations in the Inlet; fracking using horizontal drilling has never before been used there. The Center’s letter urged the Fisheries Service to conduct a thorough review of the environmental impacts of offshore fracking and its effect on the survival and recovery of Cook Inlet belugas. It argued that such review should lead to a decision to forbid the company from using fracking during its operations in the Inlet. At least 10 fracking chemicals routinely used in offshore fracking in other states could kill or harm a broad variety of marine species, including sea otters and fish, Center scientists have found. Other scientists have identified some common fracking chemicals to be among the most toxic in the world to marine animals. Of the five genetically unique beluga populations in Alaska, Cook Inlet belugas number the fewest. The species is under great duress from the industrialization of their habitat near Anchorage. In recent years the population has plummeted from approximately 1,300 to just over 300 whales. The Center for Biological Diversity is a national, nonprofit conservation organization with more than 1 million members and online activists dedicated to the protection of endangered species and wild places.